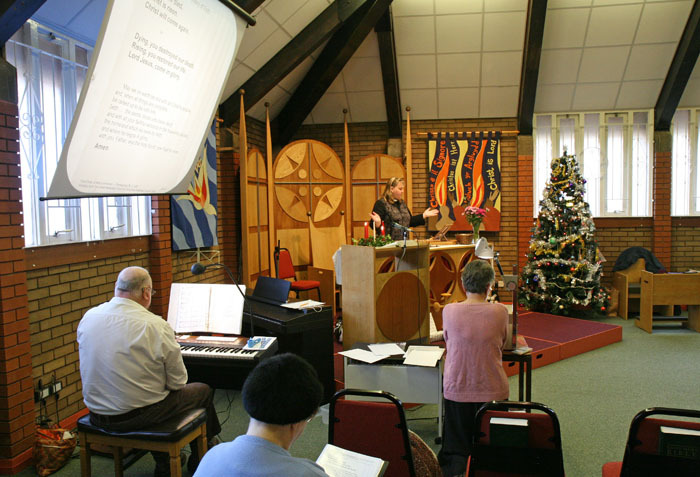 Worship at Bethesda covers a variety of services including Methodist, Anglican, and United Reformed Church, all done in a variety of styles. 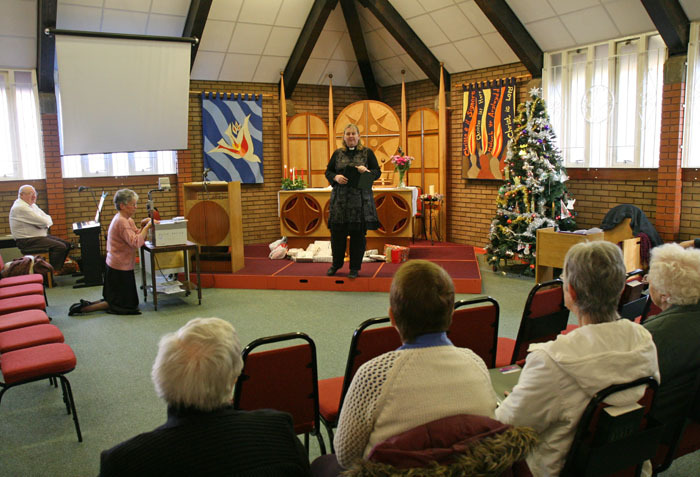 We have a monthly communion service, Café Church, baptisms, family and morning worship services. 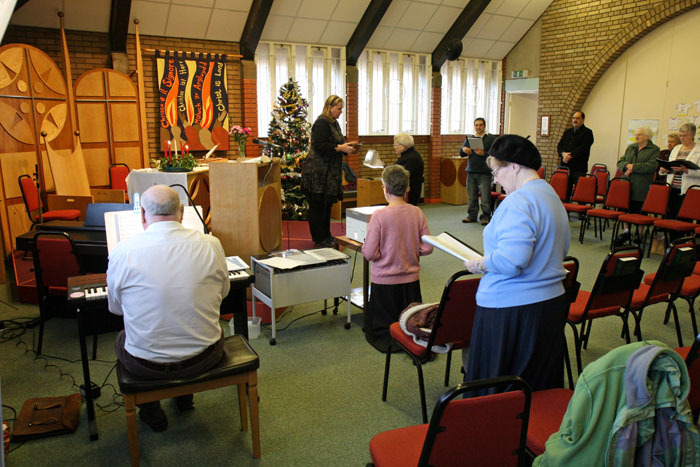 We sing to an electronic organ and CDs using music from Mission Praise and modern hymns. All words of hymns, songs and prayers are projected onto a screen, but we have big print versions of our services available if you require them. Our services are relaxed, and families with children of all ages are welcome. We understand that children sometimes make noise in a service and that’s OK as we share together making a joyful noise to the Lord! The Bible takes centre place in our worship and we meet to grow our faith and build our relationship with God and one another. Sometimes we have a sermon while at other times we discuss in groups a passage from the Bible and how God’s word is relevant to our everyday lives. 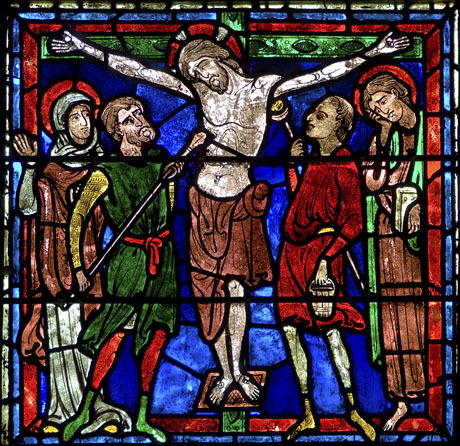 Many of our services have a creative element and we learn about Jesus in a variety of ways, including participating in an activity or making something. Our third Sunday of the month service is Café Church. For this we gather in Room B, and sit round small tables. The doors into the Sanctuary are opened so that we can see the screen onto which words, pictures and DVDs are projected. You can help yourself to hot or cold drinks, biscuits and cake, and order your bacon barms, toasties, or porridge at the hatch. These will be ready by the time we have finished singing a couple of worship songs, listened to some teaching, maybe watched a DVD, and had a brief chat about the theme. This is followed by fellowship and eating. You can come and go as you please, but you’re always assured of a warm welcome.